THE WRITING BUDDHA - Opinions | Books | Movies: Bad Romance by Harshita Srivastava (Book Review-3.75*/5)!!! Bad Romance by Harshita Srivastava (Book Review-3.75*/5)!!! 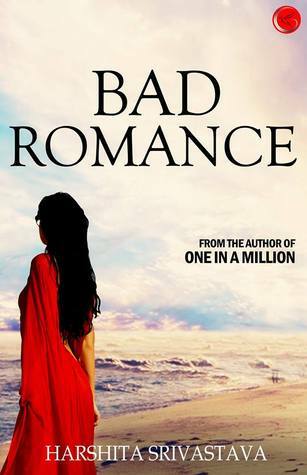 After reading few mediocre-quality books, the latest book of Harshita Srivastava named "Bad Romance" came like a breathe of fresh air. The tagline of the book says "Love, Lies and Betrayals". The cover page of the book is very soothing. Though the title seems to be cliche but after reading the book, you will understand why it is named so and how it is better than other romantic stories being published by Indian authors. I am stunned by the quality of the story written by Harshita at this age. Reading this book has been a wonderful experience and it is one of the most special books I have read recently. I found a touch of Durjoy Datta and Preeti Shenoy's writing in Harshita's Bad Romance. I haven't read her first book but after this, I am looking forward to her future works. A very simple character based story tells about different emotions a girl goes through in a relationship where she isn't treated like a princess as every girl dreams. But for the sake of love, she is quiet and keeps suffering all the tortures. Suddenly, she starts getting attracted towards her best friend and finds herself sharing some wonderful quality moments with him. Both of them decides to come together but yet again she finds challenges coming in this new relationship. She is still together with her first boyfriend and this makes the whole thing more complicated for her. And then comes a twist which changes every thing in her life and she takes a step that not every girl in India would possibly take. Such a beautiful and complex character-based story is written in a very easy and good language. You will find each and every word placed at the right spot which makes your reading journey more special. The command that the authoress have on the language is commendable. She makes you feel the journey of the protagonist as if it is your own tale. At different moments, even you want to meet her boyfriend and beat the hell out of him. You feel bad when she starts failing in her new relationship too. The best part about the book is that author have kept conversations as less as possible and narration as much as possible. The climax makes you weep strongly and I wanted Harshita to write more to make us know what happened later in the story. After turning the last page, "Waah!" came out of my mouth unknowingly and that speaks a lot about the kind of book this is. I feel like personally meeting the author and telling her how beautiful her writing is. It is that kind of a work. I give the book 3.75* out of 5. Recommended!